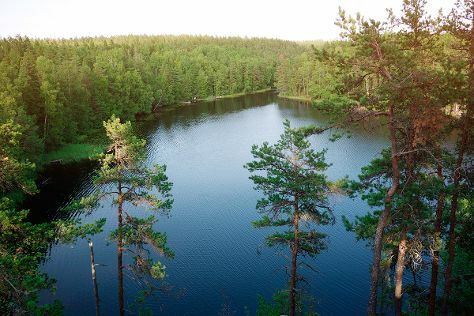 Get in touch with nature at Nuuksio National Park and Akvaariolinna. Rock Church and Sea Fortress Suomenlinna will appeal to history buffs. There's much more to do: pause for some serene contemplation at Helsinki Cathedral, soothe aching muscles at some of the top local wellness centers, take in the spiritual surroundings of Kamppi Chapel of Silence, and find your balance on the water with some of the best stand-up paddleboarding in the area. For ratings, where to stay, more things to do, and other tourist information, refer to the Helsinki online journey planner . If you are flying in from Canada, the closest major airport is Helsinki Vantaa Airport. In June in Helsinki, expect temperatures between 21°C during the day and 11°C at night. Finish up your sightseeing early on the 14th (Fri) so you can travel back home.